A small but powerful little monophonic synthesizer. Christmas is arriving and the MeeBlip anode is a potential candidate in the musician which list. Small enough to be taken everywhere, offering clever options and relatively cheap since it’s priced 119,95 dollars only. 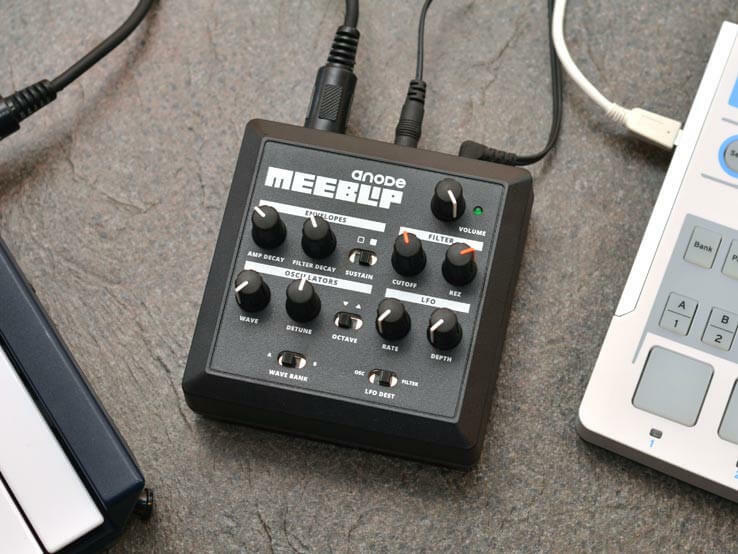 The MeeBlip will provides you with an aggressive Twin-T analog filter, full MIDI control including real time tweaking of CC’s, Dual Digital Oscillators, PWM Sweep and a hidden wavetable mode with 16 single cycle digital waveform. Meeplip anode is independently designed and manufactured then hand assembled and tested in Calgary, Canada. It’s a project by James Grahame (blipsonic) and Peter Kirn (CDM / createdigitalmusic.com). The MeeBlip anode is a fully open source hardware so, with a bit of knowledge about electronics, you could modify it. Circuits and code are available on GitHub repository and under Creative Commons / GPLv3 licenses.